Dr. Kirk Ewen is the founder of Doctors Vision Care. Kirk attended the University of Saskatchewan to complete the prerequesite courses for admission to the College of Optometry. 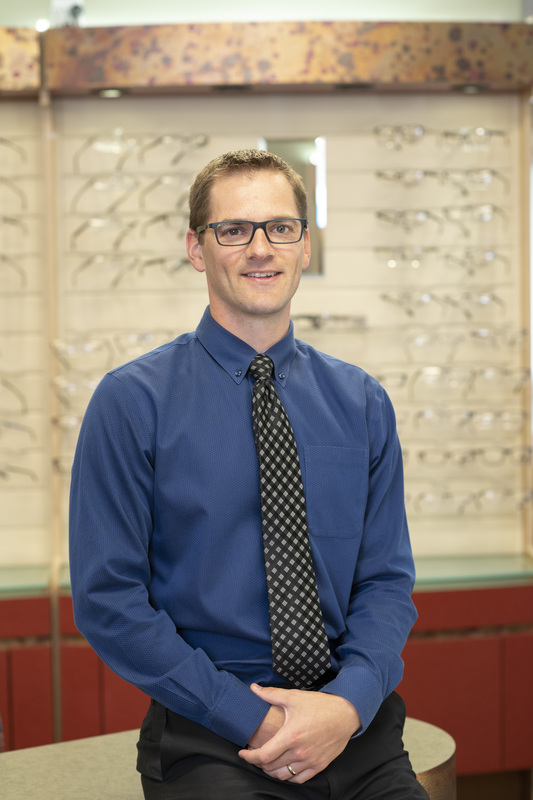 In 2008, Dr. Ewen graduated from the University of Waterloo with a Doctor of Optometry degree, where he received the Canadian Association of Optometrists award of merit for his service as class President for the four year term. Since graduation he has practiced across all of Australia and much of Canada before settling down in Martensville where the dream of Doctors Vision Care took shape. Kirk has been servicing the clinics in Martensville, Biggar and Rosthern since 2011. Kirk was raised on a family farm near Kelvington, Saskatchewan, and has always enjoyed athletics including competing in Track & Field for the UofS Huskies, as well as the University of Waterloo Warriors where he was a two time team MVP and team captain at the University of Waterloo. At present, Kirk enjoys recreational sports. Kirk and his wife Karen can often be seen around Martensville with their four children.